The prospect of gaining the advantages brought about by a VPN without taking anything out of your pocket is always attractive. However, free VPNs should be considered more carefully as most of them have hidden catches, and others simply don’t offer what they claim to. This has always raised concern among users interested in such services. We scoured the internet and sampled some of the most frequently asked questions about Free VPNs. A free VPN is basically a VPN service that doesn’t require you to spend money in order to use it. Such VPNs, however, offer inferior services as compared to premium VPNs like ExpressVPN, NordVPN, IPVanish, and CyberGhost. Is there such thing as a free VPN? While the so-called ‘free VPNs’ offer you service without spending a dime, they aren’t really free. Most of them are usually very limited in order to make your transition to their paid plans, and the others that don’t have such limits should be avoided at all costs. Most of them make money by selling your data or through other unscrupulous methods! As a general rule of life, you get what you pay for! Most free VPN services are a little more stripped down like a proxy service. This means that their security can’t be relied upon to protect you from hackers and other third-parties. Most of them also keep your data, and so they do not offer the privacy you may be looking for. Some free VPNs like Windscribe and TunnelBearare safe to use if you don’t mind the limitations placed on them. However, you should be very cautious when choosing a free VPN. In a study conducted by Australia’s Commonwealth Scientific and Industrial Research Organisation, out of the 234 ‘Free’ VPN apps they tested, 38% of them contained some form of additional malware. Here’s a list of the best (and safe) free VPN services we’ve tested. Can you get caught using a free VPN? Free VPNs should never be trusted with completely concealing your identity. The connection and usage logs that they keep can be easily used to trace your activities back to you. It is therefore advisable to use a private and secure VPN service like NordVPN is you need maximum privacy. Free VPNs are generally slow as they don’t have the required resources to ensure good speeds. Their servers are also almost always bunged with users since, after all, the service is free. However, we have found Hotspot Shield to offer some good speeds, but you will have to deal with adverts and limited bandwidth. Which is the best free VPN for Android? There are so many free VPNs on the Google Play Store, but some are very dangerous to your privacy as well as device. For good speeds, download Hotspot shield. It however only offers 500 MB a day, and so you can try Windscribe and TunnelBear. Which is the best free VPN for China? Free VPNs don’t work in China, with the exception of Windscribe and TunnelBear. These two are however not reliable since the GFW is always updated to block VPNs. For reliability, you need ExpressVPN, NordVPN, or VyprVPN. Which is the best Free VPN for Kodi? Free VPNs aren’t advisable for use with Kodi as most of them tend to keep logs of your activities. Even the most reliable free VPNs in terms of privacy aren’t suitable for streaming on Kodi due to the tough restrictions placed on them. Nevertheless, Windscribe stands out as the best free VPN for Kodi due to its relatively generous bandwidth and zero logs policy. Which is the best Free VPN for Torrenting? You will need a VPN that doesn’t keep logs, is fast, and allows P2P for you to torrent safely and securely. I’d suggest using IPVanish for torrenting, but you can also go for Hide.me VPN if you don’t mind a 2 GB limit. Which is the best Free VPN for Netflix? There’s no free VPN that works with Netflix. Even most paid VPNs can’t offer you this service. The few ones that work with Netflix seamlessly are NordVPN, ExpressVPN, IPVanish, TorGuard, and CyberGhost. Will a free VPN stop hackers? There are free VPNs that use AES-256 encryption standards, and these VPNs can be used to protect data from hackers. The ones you can rely on for this are Windscribe and TunnelBear. 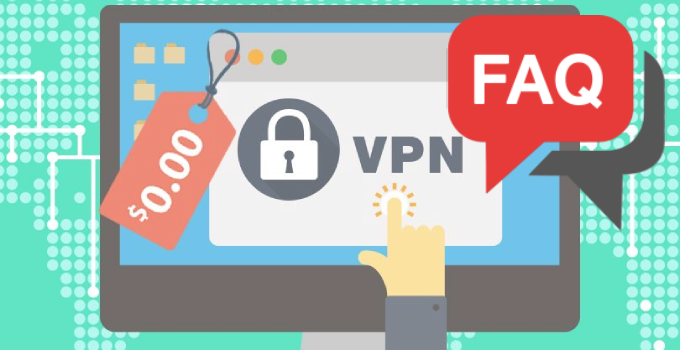 Some other free VPNs can give you a false sense of security and end up costing you more than the few bucks you would have paid for a premium VPN. Are free VPNs safe for banking? Generally, you should avoid using banking services with a network that you don’t control. However, if you can’t, make sure that you use a secure VPN. You can’t trust all free VPNs to protect your financial information, and so choose your free VPN carefully. What is a good free VPN? A good free VPN is one that doesn’t solve one problem and poses a greater one. This means that the VPN doesn’t give you a false sense of privacy and security, infect your device with malware, or even go ahead and sell your data itself. Though good free VPNs are hard to get depending on the task you need to accomplish, we have several best free VPN guides for you.